Drains are a part and parcel of life nowadays, but it isn’t a subject that most people spend much time thinking about, except us that is! One of the many quality services Flat Rate Plumbing Company offers its clients is the unclogging, or clearing of blocked drains. Drains are one of those things where you only know something is wrong when it’s too late. The drain has a relatively simple function. They carry waste and waste water out of the house and into the main sewage system. They aren’t design to get blocked, and they aren’t designed to break. If they aren’t working properly then something needs to be done, and quickly. 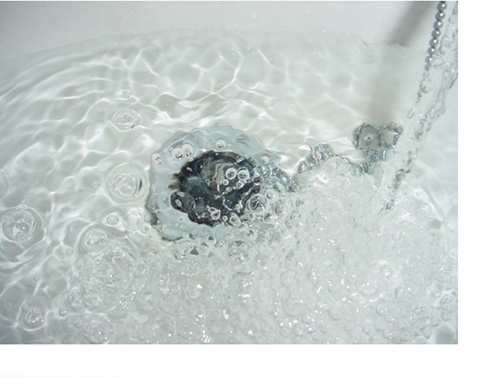 We aren’t just drain cleaners, we are a full service plumbing company that can not only clear the problem, we can locate the root cause and either proof or advise against future occurrences. When your drains are blocked, the sinks, tub or toilets aren’t draining and the house has to come to a standstill, you don’t want someone coming round and making a best guess as to what’s wrong. You want a professional who will spring into action and take effective steps to find out exactly what the problem is and make moves to fix it. Our sewer pipe video equipment is pretty good at finding elusive blockages if we can’t immediately spot it. It’s just a matter of sliding a cable down the drain until we see something. Using this kit saves a lot of guessing and a lot of digging if the blockage isoutside. It’s pretty flexible too, it can traverse pipes down to two inches wide and go round corners. If this thing can’t spot a blockage then I don’t know what can. Once we find it, we can use either an auger or jet to clear it. Which tool we use depends on the type of blockage it is. If it’s something soft, or malleable then a jet will do the trick. A few minutes of high pressure water pounding at it will shift most blockages we have seen in our careers. There are always exceptions though, which is where the auger comes in. It looks similar to the jet, but it has a little device on it which can tackle more stubborn blockages. We use these when tree roots or hard objects interfere with drains or sewage pipes. They can cut through the object and help it on its way down the pipe in no time at all. After we have cleared the pipes. There may be a good case for preventative measures. We won’t force you into making them, but we may encourage you to do so. If you have a lot of grease and fat in your pipes we may suggest a bio clean. This is an injection of environmentally friendly enzymes that will live in your drains for a while. They consume up to sixty times their own weight in waste every single minute. They will soon clear the way to healthy pipes.